Every once in while Sher and I find what we consider an exceptional RV park. We have found one such park here in Tucson. We normally stay at most for two or three nights, however we are enjoying Tucson and the weather! 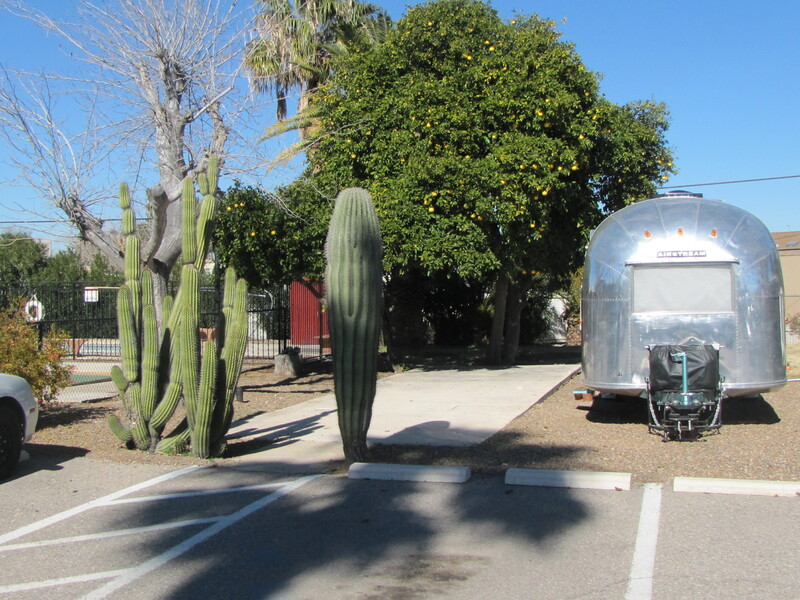 We have decided to spend a month at the Whispering Palms RV Park on the north side of town. 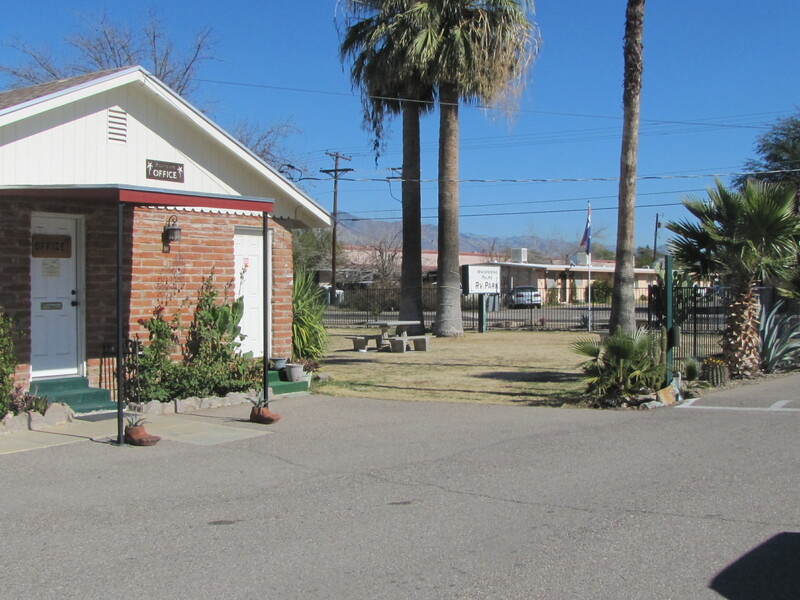 The park is minutes from downtown and close to I-10 for easy access in either direction. Whispering Palms has 81 spaces deep enough for big rigs. All of the spaces are back ins, however they are a full 20′ wide for easy placement of your rig. Pull through may be an option depending on occupancy of adjacent sites. The sites are all level on gravel. Of course there are full hook ups at each site. Long term stays may have cable TV and internet service from a local cable company. The electric service panels have been updated with 20/30/50 plugs at each spot. This park has been under new ownership for a couple of years. The new owners have spent a lot on upgrades including newly remodeled restrooms with showers and several large commercial washers and dryers in the laundry room. 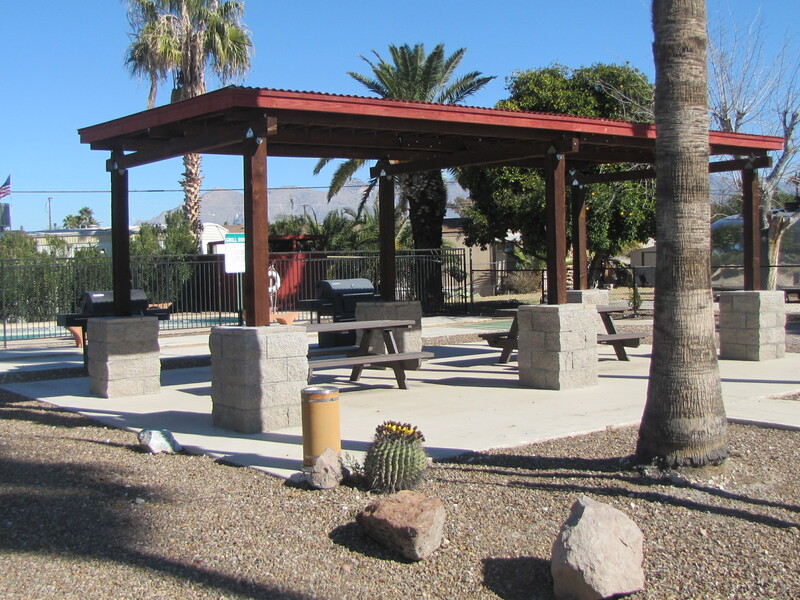 In addition there is a new swimming pool and covered picnic area. The onsite manager is most enjoyable to interact with. Anna was here when the new owners took over and has been insturmental in making this one of the nicest parks you will ever find. The grounds are immaculate and the landscaping is just enough to add to the south west feel of the area. 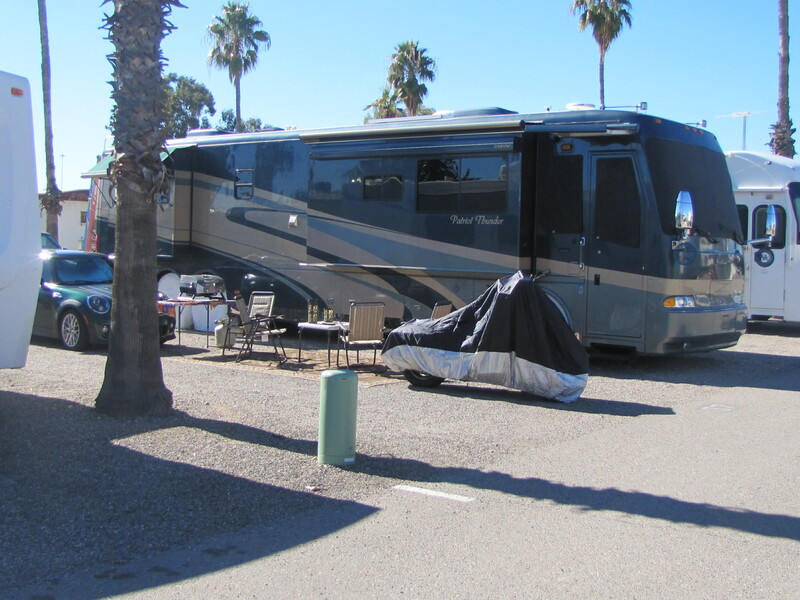 This has become one of the most sought after RV parks in the Tucson area. Tucson has many special events like the Gem and Mineral Shows with thousands of people coming to town. Make sure you call ahead or go to the park website and make reservations as soon as you as you know your travel plans. Whispering Palms is a member park of Passport America, Good Sam and Enjoy America. Be sure to mention these when you call to check the availablity of these potential discounts. If you are looking for a resort style place with a big clubhouse, shuffleboard tournaments or bingo then this is not the RV Park for you. 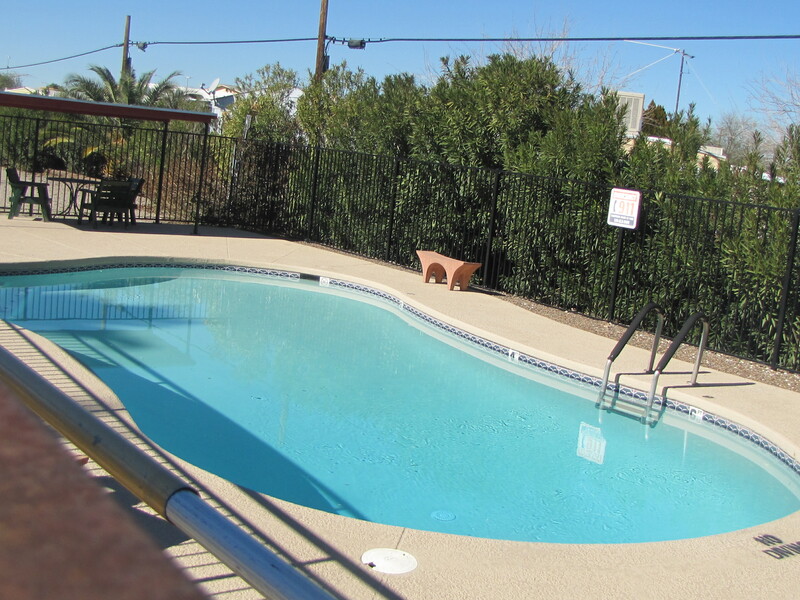 But, if you want a clean, safe, friendy and affordable place to stop for a night, week or long term in Tucson then Whispering Palms is the place for you.